After the fine lunch, we walked down to the Pickens Train Depot. 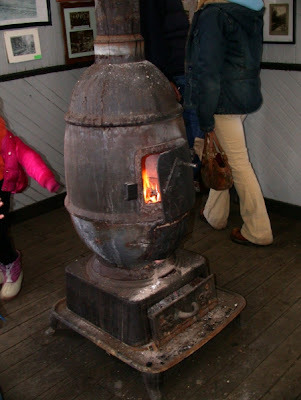 The depot was full of crafts and we were kept warm by the high tech pot-bellied stove. 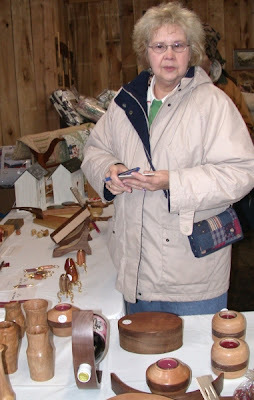 Here is Judy with the wooden crafts of Jim Bailey. 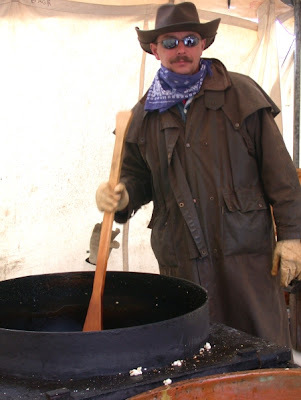 He had reasonable prices and everything from pie safes, children’s desks, kaleidoscopes, and even civil war lanterns. 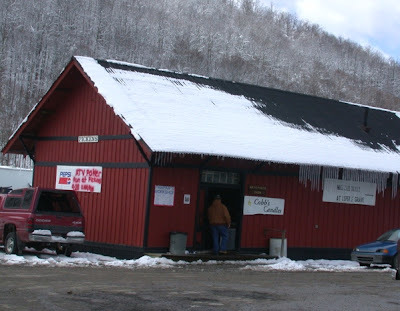 Many buildings in Pickens contained crafters. 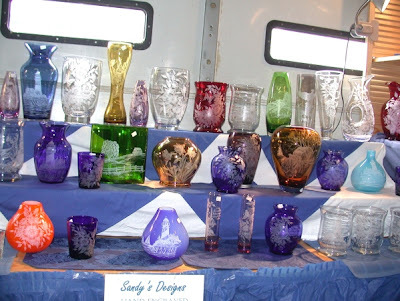 In the Fire Hall we enjoyed watching Sandy with her intricate glass etchings. While Judy was taking her time with the crafts, I found the kettle corn. Yummy! 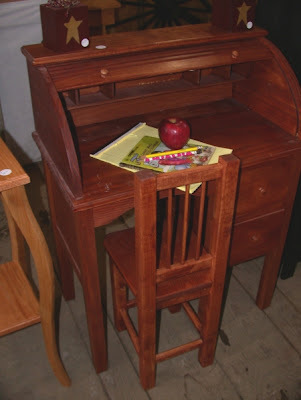 We were looking at the basket weaving in one of the craft buildings when I heard the rhyming words of Bertie Jane Cutlip. Gosh, it sounded like the recitations of our friend Bea Brown. 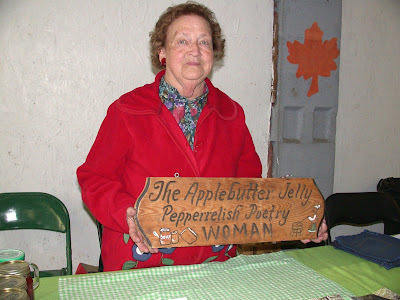 A sign proclaimed her as The Applebutter Jelly Pepperrelish Poetry Woman. Bertie is so named because of the things she sells. 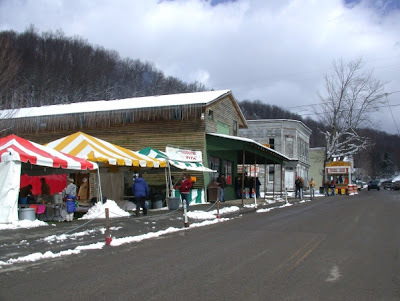 In addition to her homemade canned goods, she also has four books of poetry and is happy to share a few verses with shoppers who walk past her table. 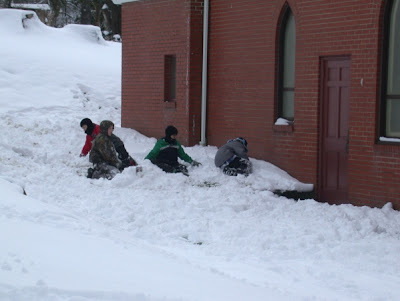 Until I watched these kids, I had forgot how fun a snow fort can be! 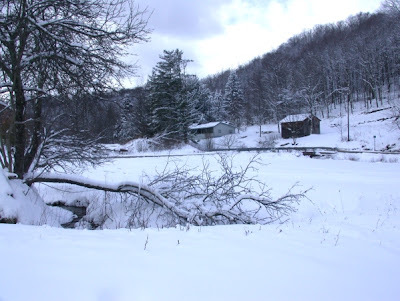 We left Pickens around 4 P.M. and were certainly happy that we made the effort to travel this day. Life is a series of adventures. When one is retired, these impromptu adventures can become more frequent. Judy always says that we are off to another “mini-vacation”. May you all have many “minis” in your lives!